As Nigerians joined the rest of the world to mark the 2019 International Women’s Day, which was established by the United Nations (UN), for annual global commemoration on 8 March, for the celebration of women, no fewer than 500 women from Sangotedo/Ajah Community have benefited from the free health screening and awareness campaign, recently organised by the Afonchies Pharmaceutical Limited, in partnership with a non-governmental organisation known as Save Our Women and Girls Foundation (SOW&G). 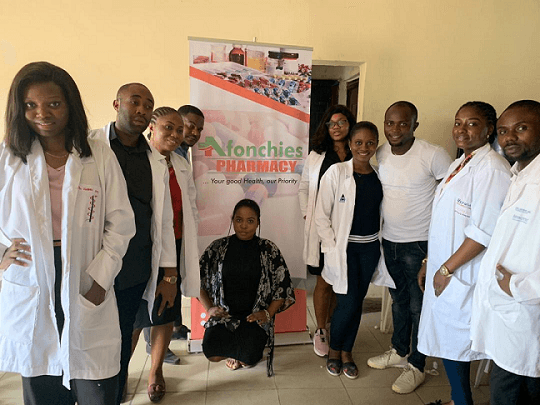 A cross section of pharmacists from Afonchies Pharmaceuticals Limited at the event. 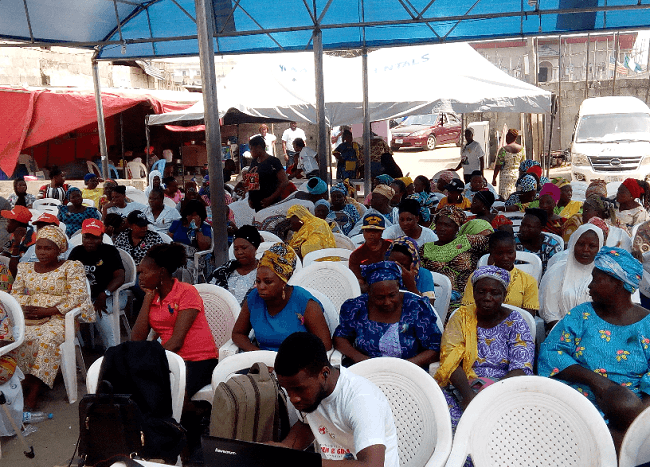 The free health screening and awareness campaign, which took place at the secretariat of the All Progressives Congress (APC), Eti – Osa Local Government Area, Lagos State, had, among the several participants in attendance, politicians, civil servants, members of the All Progressive Congress (Women Wing), artisans, and members of the Market Women Association, among others. Speaking with Pharmanews, Dr Oyunovo Angela Evbodi, superintendent pharmacist, Afonchies Pharmacy, Ajah branch, who also spoke on behalf of the managing director, Afonchies Pharmaceuticals Limited, Pharm. Adebayo Afon, explained that the free medical screening and awareness campaign was organised by the organisation in partnership with the SOW&G, as part of the company’s contribution to improving public healthcare. Speaking further, Evbodi, who had her Pharm. D, from the Kwame Nkrumah University, Ghana, noted that regular health screening and awareness can help detect health problems before they become complicated and sometimes untreatable, adding that by getting the right health services, screenings, and treatments, people are taking steps that would help them live longer and have a healthier life. She added that people need to consider their health first in everything they do, adding that looking healthy is not always an indication that one is free from diseases. “We have discovered that many people do not know where to go to when they want to access drugs, therefore, it is necessary for us to be here to showcase our presence to the people of this community and to tell them that there are lots of things that they are missing by not regularly patronising registered pharmacists”, she said. Addressing participants earlier, the founder, SOW&G, Ambassador Unyime-Ivy King, said the foundation was established out of the need to serve as a structural support for work she has been doing informally for many years, adding that as a not-for-profit organization, which was incorporated in 2016, its focus is on creating social developmental awareness on issues that concern women and girls. Ambassador Unyime-Ivy King, who was represented by Ms Bunmi Bello, social media manager, however urged the women, who besieged the place to always have their health checked periodically, in order to avert diseases, which are very deadly, adding that aside celebrating this year International Women’s Day, the programme was to positively affect the total being of women in the society. Speaking on the responses of people towards the free health screening, as well as the motive behind it, the Manager, Afonchies Pharmacy, Ajah, who was also the coordinator of the screening exercise, Mr Kingsley Ugwu, said he was overwhelmed by the way people embraced the screening exercise, saying the turn-out was impressive and people were eager to know their status as well as what to do to live a healthy lifestyle. 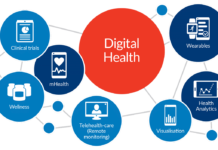 According to him, regular health screening is good as it incorporates several tests, including preventative screenings and physical examinations to check patients’ current health and risks, and if any problems are found, the healthcare provider will provide information on treatment plans and ways that you can prevent health issues in the future. The free health screening featured distribution of condom and pregnancy test kit for women and girls, screening of Blood Glucose Level, Hypertension, Malaria, Body Max Index (BMI), among others. Next articleWhat do you understand by the term Receptor? I do nominate Yusuf Hassan Wada, Usmanu Danfodiyo University Sokoto.